Many workplaces have deployed Microsoft® SharePoint® but still use only a fraction of the software's capabilities. One of the best uses for SharePoint is document management. But without any more training than, "Here, put this in SharePoint," everything ends up in one place called Shared Documents. No "management" actually takes place. Stop struggling to figure out how this is any better than a shared network folder. Join us Wednesday, March 27, for SharePoint Workshop: Mastering Document Management. This fast-paced 75-minute workshop will teach you and your team the skills and confidence to easily manage your documents in SharePoint. Let SharePoint become more than just a file-server replacement. SharePoint can help bring together all your people, documents and ideas into one collaborative space … but only if you know how to use the tool correctly. Expert Microsoft Certified Trainer Melissa Esquibel travels the country making SharePoint's powerful document management tools accessible to SharePoint veterans AND novice users. Our promise: You will walk away with better strategies for your document libraries and change processes. Remember, people typically only use 13% of the features in their software tools. Don't waste your investment. Use these 75 minutes to learn how to maximize the document management tools in SharePoint. We'll see you March 27! P.S. Registration Bonus. 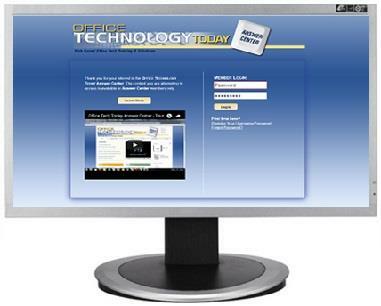 Everyone who signs up will receive a month of members-only access to the Office Technology Today Answer Center. This business software training website provides helpful solutions to your Microsoft Office challenges with training videos, executive summaries, a "Help Desk" Q&A and much more. So that you continue to benefit from the Answer Center, we'll continue your members-only access for just $89 per quarter, unless you tell us "no, thanks" – your choice. P.P.S. We promise you'll be satisfied. 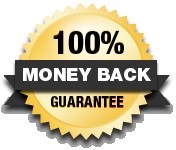 If SharePoint Workshop: Mastering Document Management fails to meet your needs, we will instantly refund 100% of your tuition. Your course materials and members-only website access will be yours to keep. No hassles, no questions asked.